Join a conversation about leadership and literacy priorities. 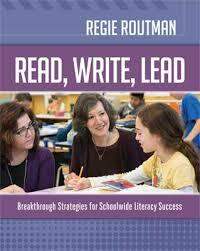 I will be hosting a Twitter chat with #educoach to discuss Chapter 5 from Regie Routman’s new book Read, Write, Lead: Breakthrough Strategies for Schoolwide Literacy Success (ASCD, 2014). Topics such as leadership characteristics and instructional walkthroughs will be discussed, starting at 9 P.M. CST tonight (10/8/14). For a preview of the questions we will be asking tonight, click here. A transcript of tonight’s chat will be available on the #educoach wiki later this week. Next Next post: How Do You Participate in a Twitter Chat?